Medical Metrics, Inc. (MMI) pleased to announce that its Director of Cardiovascular Imaging, Miguel Quiñones, M.D., will receive the Physician Lifetime Achievement Award from the American Society of Echocardiography (ASE) at the society’s annual scientific sessions in June. He will also be named a Master of the American College of Cardiology (ACC) at that group’s annual meeting in March. Dr. Quiñones is chair of cardiology at Methodist DeBakey Heart & Vascular Center and a leading expert in the field of cardiovascular ultrasound. He has authored for many of the guidelines used by cardiologists and cardiovascular surgeons around the world to interpret echocardiographic data. As a member of MMI’s core faculty, he provides expert guidance on clinical study design and implementation, including guidance on protocol development, endpoint selection, and imaging. Dr. Quiñones is the fourth recipient of the ASE Physician Lifetime Achievement award. 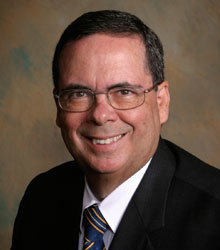 In his nomination of Dr. Quiñones, ASE President James D. Thomas, M.D., acknowledged that “Mike is one of the true pioneers in the field of echocardiography, having led the way in the assessment of ventricular and valvular function.” MMI is proud to collaborate with Dr. Quiñones and offer its clients access to leading experts in the field of cardiovascular imaging.